Community Rowing of San Diego invites rowing fans of all ages to come join the fun at an inaugural Fan Experience on April 6 and 7, at the 46th Annual San Diego Crew Classic spectator area on Crown Point Shores, Mission Bay. San Diego, CA, April 03, 2019 --(PR.com)-- Community Rowing of San Diego Brings a New Fan Experience to the San Diego Crew Classic. Community Rowing of San Diego (CRSD), a public benefit organization that empowers youth to reach their potential through the sport of rowing, welcomes rowing fans of all ages to come join the fun at an inaugural Fan Experience on April 6 and 7, at the 46th Annual San Diego Crew Classic spectator area on Crown Point Shores, Mission Bay. Whether you are a new or avid rower or just plain curious, there is something for everyone to enjoy at the Fan Experience! Activities include Ergometer Education competitions, kids’ crafts, and Instagrammable photo opportunities with elite athletes or with you as a rower in action. You can also test your Ergometer speed to that of a dolphin or see if your power output will light an LED bulb or toaster oven. Beyond this regatta weekend, CRSD continues to build a sustainable presence in San Diego’s South Bay region for safe, recreational aquatic activities and competitive rowing. Through financial support and partnerships, CRSD expands opportunities to introduce the sport of rowing to community members of all ages and backgrounds. CRSD partners with US Rowing, a nonprofit organization recognized by the United States Olympic Committee as the governing body for the sport of rowing, to support disabled veterans through its Freedom Rows program. For venue, parking and ticket information for this San Diego Crew Classic, please visit http://crewclassic.org. 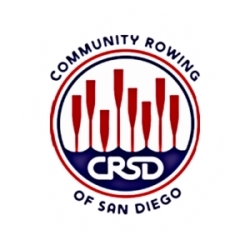 Founded in 2012, Community Rowing of San Diego (CRSD) is a public benefit organization which builds and sustains rowing programs in San Diego County to make the sport of rowing available to underserved communities. CRSD programs include youth, masters, adaptive, and “para” rowing. For more information, please visit http://CommunityRowingSD.org or learntorow@communityrowingsd.org.